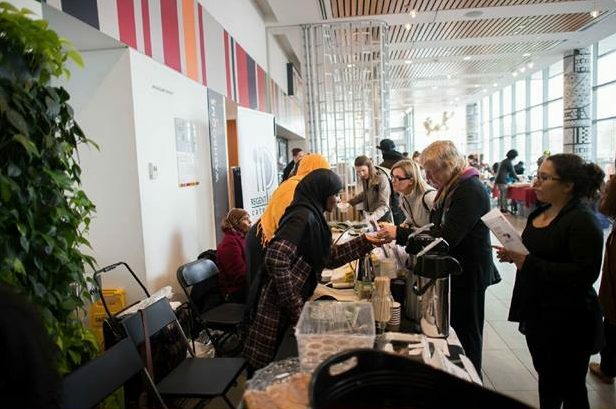 The Regent Park Catering Collective (RPCC) is CL&D’s first incubated social enterprise, now with over 40 caterers offering delicious meals, snacks, and desserts for all occasions. The RPCC continues to offer Food Handling certification, as well as business and entrepreneurial skills in areas such as customer service, marketing, and financial literacy. Through a community partnership with Artscape-Daniels Spectrum, Paintbox Bistro, Yonge Street Mission, and Toronto Public Health that started in October 2013, over 200 Regent Park residents have received their Food Handlers Certification and have moved onto careers within the catering and culinary industry. FROM THE ARCHIVES: A CBC News Toronto segment on the Catering Collective from December 31, 2014.